By now your kids have probably returned to school after enjoying their week-long spring break. If you have been wondering what types of programs to enroll them in for the summer, then we encourage you to think about tennis summer camp. At Gorin Tennis Academy in Granite Bay, we offer our Future Stars Summer Camp from the middle of June through the middle of July. 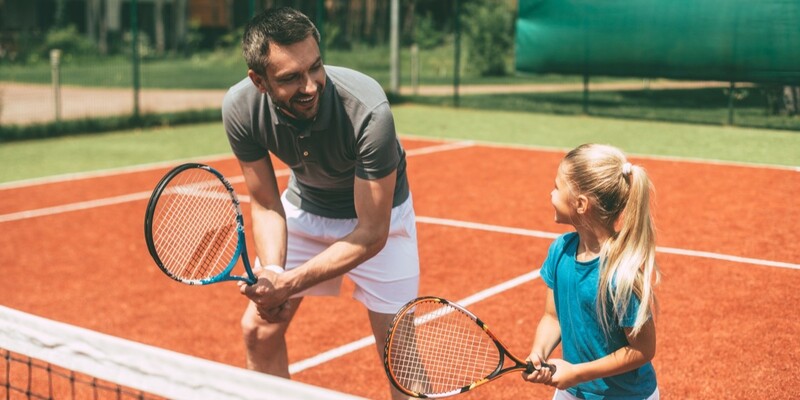 Continue reading today’s post to learn about some of the benefits that your child can get from participating in a tennis summer camp this year. If your child is a beginner, then our Future Stars Summer Camp is an ideal opportunity for them to learn the basics of tennis. Contact Gorin Tennis today to learn more. Our tennis camps for kids are designed with their needs in mind. We work to establish the basic skills that they will need, including proper grip, hand-eye coordination, and proper technique. It’s important for everyone who wants to learn how to play tennis to practice proper grip on their racket. You might be surprised to learn how many people don’t know the right way to hold their racket. Improper grip can lead to a number of other issues that affect the skill and ability of the player. At Gorin Tennis, we design our camps to provide accurate and personalized instruction so that your child can correctly learn all of the basic skills from the start. One of the best aspects of any camp is the opportunity to meet new friends and form relationships. At Gorin Tennis, we hope that as your child learns the basics of tennis, they also develop friendships with other children who are interested in tennis so that they can encourage and support one another long after they have left our summer camp. Whether your child has never picked up a tennis racket prior to our summer camp, or they have played a few games here and there, we can help them improve their technique. Practicing the different strokes in tennis, training to serve the ball more forcefully and effectively, and working in small groups will allow your child to see improvement even in the course of one week! Our coaches can provide the feedback they need to continually improve their technique. As your child learns to play tennis, they will become more effective at making decisions quickly, develop techniques for managing stress, and have opportunities to observe and practice good sportsmanship. All of these experiences will help them to build confidence, not only in their abilities as a tennis player, but also in themselves as a person. Gorin Tennis Academy in Granite Bay wants to work with you to help your child develop the confidence that they will need to be successful in life. Our Future Stars Summer Camp is the perfect opportunity for your child to learn the basics of tennis so that they can explore their interest in joining a team or even competing professionally. Contact our office in Granite Bay for more information about our tennis summer camp and help your child have one of the best weeks of their summer this year!